The Demon is one scorcher of a muscle car, running the quarter mile in an incredible 9.65 seconds at 140 mph right out of the box. But, as is often the case, some folks always want more, and thus we have this tuned carbon fiber example that adds more power and slashes the quarter run into the 8’s. Hennessey Performance’s new engine upgrade package for the Challenger Demon raises the muscle car’s output to 1,200 horsepower. Called the HPE1200, the program makes the Demon’s standard output of 840 horsepower look like a puppy by comparison. Hennessey put its crown jewel Challenger Demon program to the test, and as you’d expect it, “mercy” wasn’t in the muscle car’s vocabulary. A new advertisement for the Dodge Challenger SRT Demon claims that it’s the world’s fastest 0-100-mph production car, at least when you take out “non-mass production vehicles” and “hybrid/electric” vehicles out of the equation. 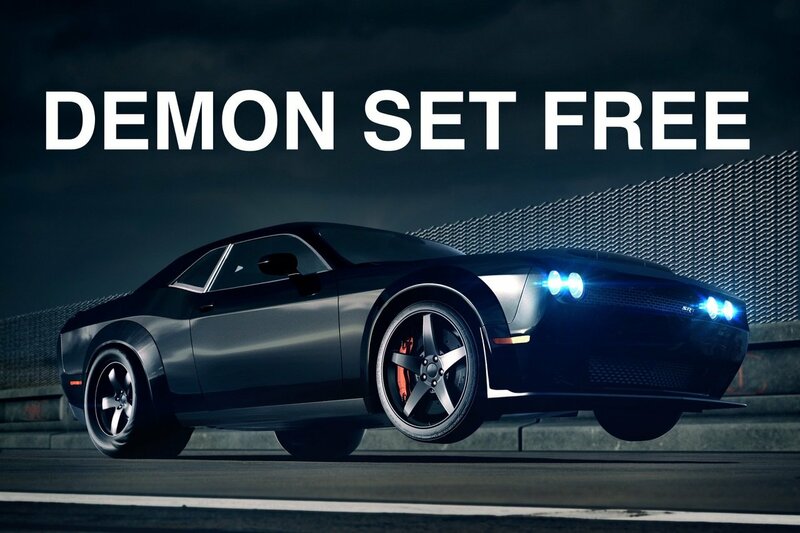 The self-aware advertisement is hilarious on so many levels, not the least of which is Dodge admitting that the Challenger SRT Demon isn’t faster than the Tesla Model S.
Two of Dodge’s most impressive performance machines are on their way out the door, but before they go, the brand put them on the block for one last hurrah. 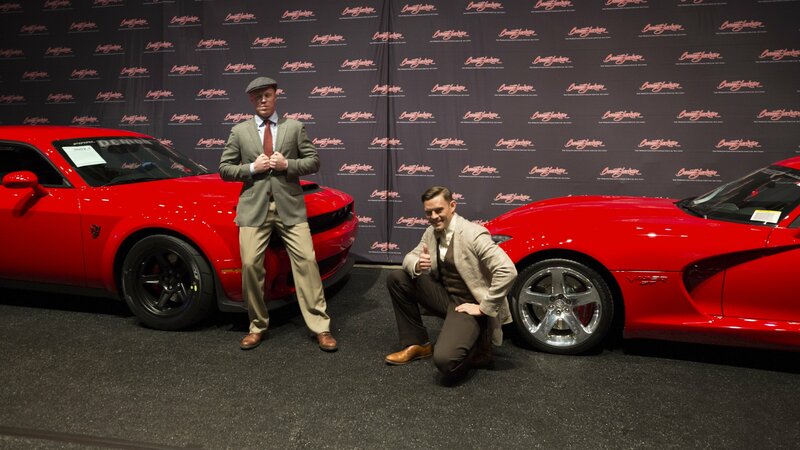 This past Saturday, at the Barrett-Jackson Northeast Auction at Mohegan Sun in Connecticut, Dodge auctioned off the final 2018 Dodge Challenger SRT Demon and 2017 Dodge Viper in a single lot, and when it was all said and done, one eager collector took them home for a cool million bucks. It’s been less than a month since the final Dodge Challenger SRT Demon rolled off the line and now that you’ve seen the pictures, it’s time to see the video that shows it being built. 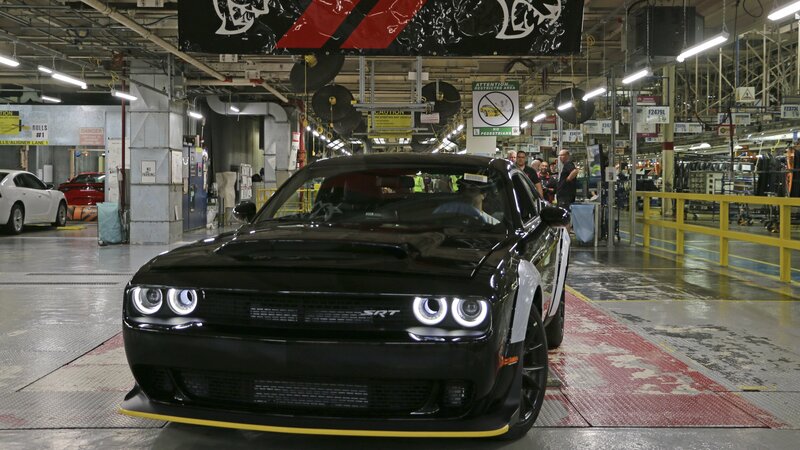 The video was released by FCA North America and shows various stages of the final Demon as it creeps through the production line. Throughout the video, you get to see it transform from a mere shell to the car we’ve all grown to love…or loathe. This specific model comes off the line looking as black as the nights sky but will be sent off for a special (and exclusive) Viper Red paint finish before it heads off to an auction where it’s expected to pull in some $2 mill based on the $1.65 million that the first Hellcat model pulled in. Of course, it could go for even more than that as it’s being auctioned off as part of a package deal with its sports car cousin, the Dodge Viper – the very last Dodge Viper at that. As the final production model, it will get a pair of exclusive drag tires, a front passenger seat, rear seat delete, truck carpet kit, car cover, VIN badge, and a Demon Authentication package. Naturally, it will get the Demon Crate too, which comes with the drag wheels, tuned PCM, and a full set of track tools. As a reminder, this track-ready monster comes with 840 horsepower and 770 pound-feet of torque, enough for it to blow most supercars away with a sprint to 60 mph coming in just 2.3 seconds. It can also hit the quarter mile in 9.65 seconds at 140 mph – a standing record for any production car. This car, and the final production Dodge Viper, will be auctioned off at the Barret-Jackson Northeast Auction between June 20 and June 23 with all proceeds heading straight to United Way. Stay tuned to find out how much the final Demon goes for and, until then, check out the video and gallery below! ‘Merica – land of the free, home of the brave, and producer of the most outrageous drag racers ever conceived. Proof in point – the new Hennessey Demon, a street-legal destroyer of tires that’ll blow the doors off just about anything with actual doors. Did you miss out on the last batch of Dodge Vipers in 2017? Well, here’s some good news for you: Dodge will auction the last production model for charity this June. There is a catch though; the Viper comes in a bundle with a Dodge Challenger SRT Demon. Insane, right? The Dodge Challenger SRT Demon may be called as such, but you might as well throw “unicorn” in its name because contrary to prevalent rumors surfacing these days, Dodge has no plans to follow up the 2018 Demon with a 2019 version. Don’t even bother wishing upon any stars or hoping for leprechauns at the end of the rainbow; it’s not happening. The Dodge Challenger SRT Demon is a one-year model. No more, no less. Granted, just because Kuniskis’ comments are about as clear as unwavering as they can be, that’s not going to stop FCA executives from overruling his decision if they suddenly wake up with an itch to continue the Demon’s production well past its initial timetable. Doing so, though, could open a can of worms from upset customers who were led to believe that one of the Demon’s touchstone features is its exclusivity. The 3,300-unit limit was one of the reasons why the Demon sold out as quickly as it did. A lot of people bought them for the sole purpose of turning into prized collectibles. 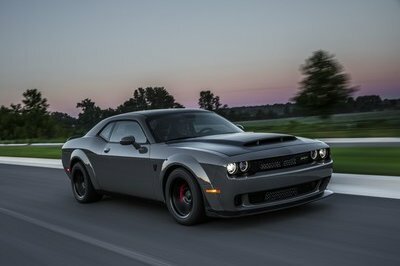 If Dodge adds more Demon models to the market, these models could have a massive impact — a negative one at that — on the value of the 2018 models. Worse, the automaker could be on the receiving end of lawsuits for false advertising, among other gripes. Dodge has reached the point of no return for the Challenger SRT Demon. It showed its cards for the world to see, and the world reacted accordingly. If the company suddenly revealed an ace up its sleeve, it’s not going to be received positively by those who will think that they were duped out of a car that’s already trending up as a future collectible. For now, don’t expect to see Dodge change its position. The Challenger SRT Demon will remain a 2018 model. But just because it is, it doesn’t mean that its components are going to be. Some of these components could be used in a number of applications. Some, in fact, are already being used by other models. 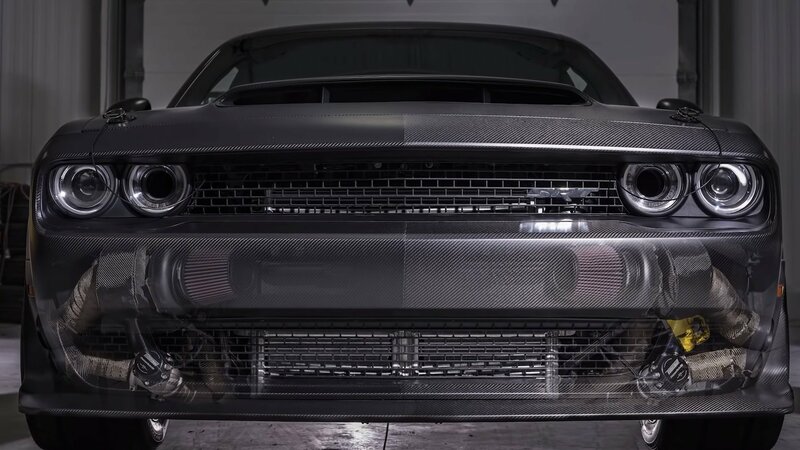 The Demon’s flared body, for example, is now available as a widebody option for the Challenger Hellcat. Mechanically, the Demon’s Torque Reserve system has also found its way on the Jeep Trackhawk. If these components could be used on other models, you can be sure that FCA will find a way to use them. That includes the Demon’s warmongering 6.2-liter supercharged V-8 engine that produces 840 horsepower and 770 pound-feet of torque. An engine this potent is going to make its way into other models. That much you can count on. But as far as a 2019 Dodge Challenger SRT Demon? You can put those dreams to rest. It’s not happening. With just a little over two months left before we say adieu to 2017, the wait for all 2018 model releases is hitting fever pitch. We can’t promise to make time move faster than it does, but what we can do is at least prepare everyone for what’s to come when the new year arrives. That said, let me be the first to say that 2018 is going to be a wild year for the auto industry, as old guards are retired, existing nameplates get their redesigns, and most importantly, all-new models are unleashed into the world. Who knows, 2018 might even be the year when we take a big leap in electric and autonomous technology. A lot of things are at play when the new year rolls around so to keep the anticipation building, do check out this list of some of the hottest and most highly anticipated models to hit the streets next year. We can’t say that we like one of these models better over the other, but at least we’re giving you a good preview of what’s to come. Prepare those checkbooks, ladies and gentlemen, because some of these cars won’t come cheap. 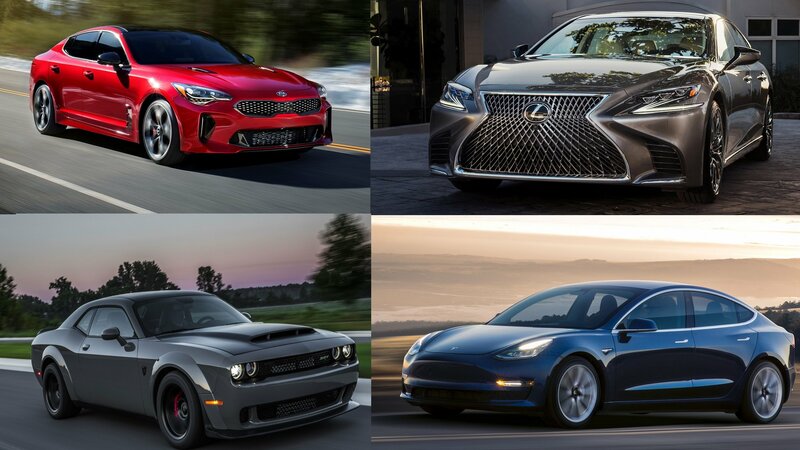 Was there ever any doubt that the Kia Stinger would be on this list? Personally, I’ve been waiting for the Stinger to hit the streets for quite a while now just to see how it stacks up against the European competition. More than that is the excitement that comes with being the model that signals Kia’s entry into the performance sedan market that’s populated by the likes of the BMW 3 Series, Mercedes C-Class, and Audi A4. 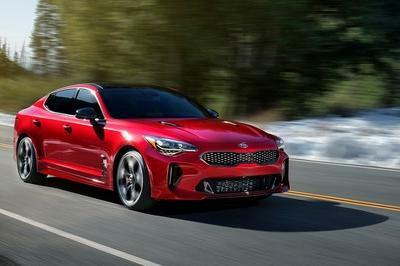 Does the Kia Stinger and its 365-horsepower output hold up against the competition? We’re going to find out in 2018 and, for what it’s worth, I like Kia’s chances of making a statement when it debuts sometime around the fall of next year. Read our full review on the 2018 Kia Stinger. 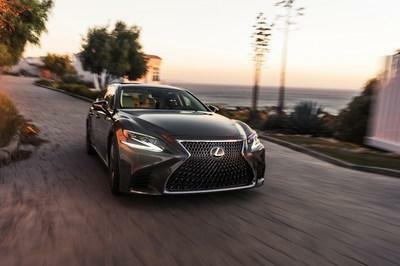 The Lexus LS flagship sedan is another late 2018 arrival and, just like the Stinger, there are a lot of expectations for this model to do well off the bat. The good news is that Lexus prepared it to meet those standards. For one, the LS is completely redesigned and features a longer, lower, and wider stance. That coupe-like dynamic should play well to those who weren’t fans of the outgoing version. Then there’s the engine, which isn’t anything to sneeze at. The LS will feature plenty of engine choices, beginning with a 3.5-liter, twin-turbo, V-6 that pumps out 415 horsepower and is mated to a 10-speed automatic transmission. If that doesn’t suit your flight of fancy, Lexus is also offering a hybrid version in the form of the LS 500h. This variant will come with the same 3.5-liter V-6 engine to go with a couple of electric motors. Total output is rated at 354 horsepower, and while it isn’t as powerful or as fast as the gas version, it’s sporty enough that it shouldn’t matter. Besides, hybrid calls for better efficiency, so there’s a nice trade-off right there. Read our full review on the 2018 Lexus LS. to bleed into the new year as customers slowly start receiving their cars. Without question, this super limited (only 3,000 units in the US) muscle car will dominate the narrative next year, especially if it lives up all the hype it has received since it was announced earlier this year. Hard to imagine going wrong with a car that can spit out 840 horsepower and 720 pound-feet of torque without so much as breaking a sweat in the process. Yet another model that’s actually already being delivered to the first batch of owners is the Tesla Model 3. And, like the Challenger SRT Demon, there’s tremendous hype surrounding the Model 3, though not exactly for boasting sinister power numbers. The Model 3, in essence, is Tesla’s entry-level offering for those who have been priced out of getting either the Model S sedan or the Model X SUV. 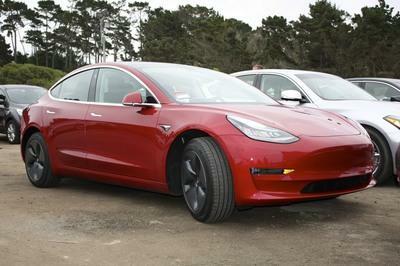 There’s been a lot of news surrounding the Model 3 recently, particularly the car’s slower-than-expected production time, but rest assured, 2018 is going to be a huge year for the car because only then will it be determined if the Model 3 is the game-changing vehicle that Tesla has hyped it to be. Mark my words: the Model 3 will dominate plenty of discussions next year. Oh, yes! It’s been 11 years since Jeep rolled out an all-new Wrangler, so you can understand why so many people are pumped up to see the next-generation model when it hits dealerships next year. As one of Jeep’s most popular models – Wrangler sales have consistently grown by roughly 20,000 units since 2011 – there are a lot of people waiting with baited breath to see if the new model can live up to the success of its predecessor. Needless to say, Jeep prepared it in such a way that it should be able to carry that burden. 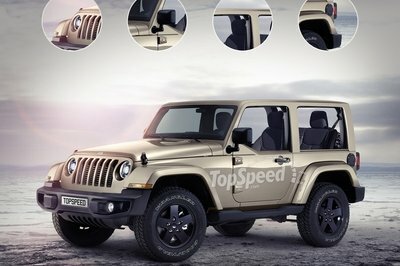 It’s already been announced that the new Wrangler will be available as a two-door, four-door Unlimited, and a pickup truck. Likewise, the model will feature a host of new engine choices, including the expected addition of a 3.0-liter EcoDiesel V-6 borrowed from the Ram 1500. This mil has up to 240 horsepower and 420 pound-feet of torque on tap and will work with a ZF eight-speed auto transmission for good measure. Read more about the 2018 Jeep Wrangler. This is more of a personal choice than anything else because the model isn’t coming to the US. But, allow me to gush over the Alpine A110 one more time. It’s arguably one of the most beautiful sports cars I’ve seen in quite some time, and it’s upcoming release in 2018 has me wishing that I had a European address to go to so that I can get my hands on one. But alas, the A110 will remain across the pond, for now, depriving us the opportunity to gush over it in all its splendid beauty. 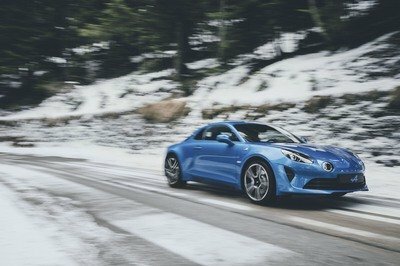 Make no mistake though; the A110 is more than just eye-candy; it also features a 1.8-liter four-cylinder turbo engine that produces 252 horsepower and 236 pound-feet of torque, enough to propel it from 0 to 60 mph in just 4.5 seconds before maxing out at a top speed of 155 mph. It really is a bummer that we can’t get our hands on the A110, but stranger things have happened. Cross your fingers that at least some of them find their way into the US. Legally, of course. Read our full review on the Alpine A110. Since we’re here lamenting about the status – or lack of one – of the Alpine A110 here in the US, how about we pour some salt in our wounds by also pointing out that the Hyundai i30 N is also unlikely to make its way to U.S. shores. This list has suddenly turned depressing. As I wipe my tears away, I should point out that the i30 N sits in a similar spot as the Kia Stinger being the first hot hatch offering to come out of Hyundai. 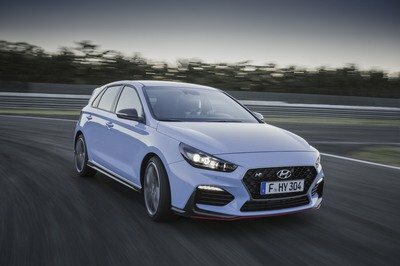 And, just like the Stinger, there’s plenty of hype surrounding the i30 N and how it’s going to be able to stack up adjacent the establishment in its segment, which – by the way – includes titans like the Ford Focus ST and the Volkswagen Golf GTI. The i30 N certainly has the numbers to back up its hype – 246 ponies and 271 pound-feet of twist from a turbocharged 2.0-liter four-cylinder engine – but only time will tell if the whole package translates into the car we all expect it to be. Good thing, then, that we won’t have to wait too long to find out. No list of mine is going to be complete without mentioning the latest upcoming release from Volvo. I’m not afraid to admit it either. Volvo has completely won me over, and the excitement I’m feeling in my body over the coming arrival of the XC40 is another indication that I’m fully on-board the bandwagon. 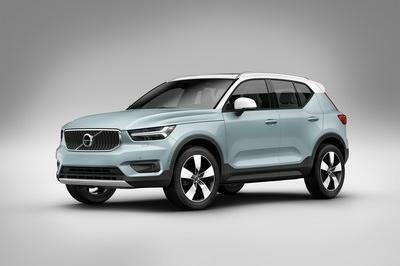 I honestly don’t know what I’m most excited about when it comes to the XC40. It could be the fact that it’s actually Volvo’s first ever premium compact SUV. It could also be the fact that it has adopted Volvo’s new design language (one of the best in the business). It could also be that the crossover has enough advanced safety tech features that it helps to validate the automaker’s reputation. It might even be because the XC40 has enough engine options to make a prospective buyer’s head spin. Or, it could be a combination of all of the points I just mentioned. Either way, I’m excited to see the XC40 in full bloom and its arrival in 2018 is going to be cause for celebration in my household. Read our full review on the Volvo XC40. It’s not exactly an all-new model in the way some other cars on this list are, but still, let’s give some love to the 2018 Equinox. It’s only two years removed from getting the next-gen treatment, but already, Chevrolet is preparing the 2018 model to be 400 pounds lighter than its previous incarnation. On top of that, the steady choice of engine options remains one of its most important attributes, as is the returns owners get from any of these engines – 40 miles per gallon has been reported. It’s safe to say that the crossover and SUV markets will be as competitive as they’ve ever been in 2018 and the 2018 Equinox will definitely be in the thick of all the fighting. Read our full review on the Chevrolet Equinox. The last spot is reserved for America’s best-selling car, or at least one of the best-selling: the Toyota Camry. Why am I excited for the 2018 release? 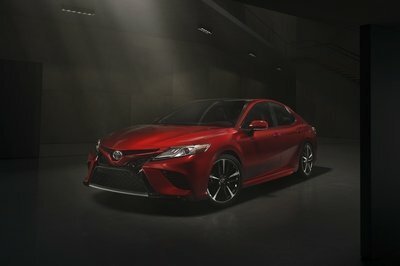 There are enough reasons to be, including the model’s edgier styling, something that the Camry has never been the best at. Add that to its lineup of powerful and efficient engines, a wide array of advanced safety tech, and you’re looking at a model that’s fixing to keep its position as one of the most popular models in the US. It’s really as simple as that. Read our full review on the 2018 Toyota Camry. 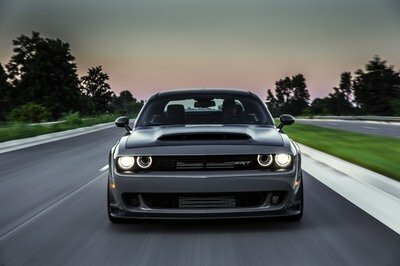 Introduced in 2008, when Dodge basically revived the nameplate after a 25-year hiatus, the fourth-generation Challenger is the oldest muscle car available in U.S. showrooms and one of the longest running models as of 2017. Using underpinnings that date back to the W211-generation Mercedes-Benz E-Class (2002-2009), the Challenger managed to survive all these years against the more modern Mustang and Camaro, redesigned in 2015 and 2016, respectively. But, even though the Challenger is dated compared to its rivals, it can be had with some of the most powerful drivetrains in its segment, which is why it’s still popular with pony car fans. Having launched the 707-horsepower Hellcat in 2015, Dodge took things to a new level with the Challenger SRT Demon. Updated 09/01/2017: Dodge released a series of new images for the 2018 Demon and we have to admit, this new Granite exterior paint makes it look even better! Continue reading to learn more about the Dodge Challenger SRT Demon. Clever titles aside, the video is as good as it gets in terms of showcasing the Challenger Demon’s capabilities. Sure, we know it to be a juggernaut of acceleration and a monster on the drag strip. But what happens when you put it in an urban setting like a night in Pittsburgh, ask rallycross star Rhys Millen to drive it, and let it run loose? You get what can best be described as a two-and-a-half-minute highlight reel of the Challenger Demon doing anything from burnouts to donuts and everything else in between. 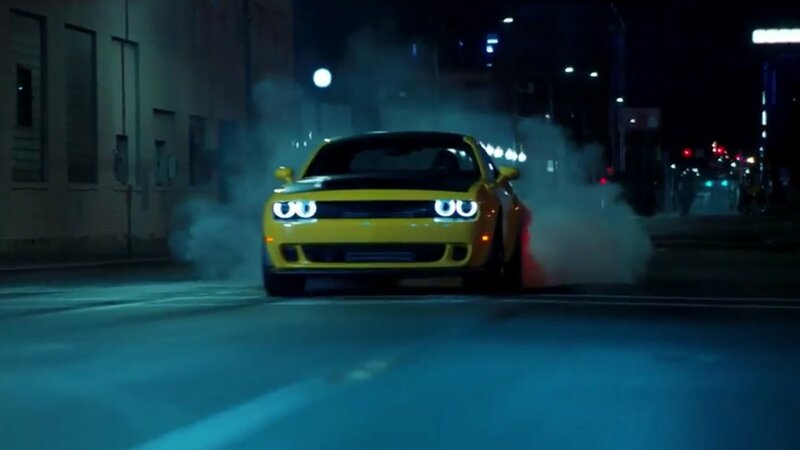 Throw in some special effects to highlight the muscle car’s earthquake-inducing, torque-tactic acceleration and you have as good a promotional video for the Challenger Demon as anything Dodge has released before it. The treatment of the video is exceptional in it of itself. 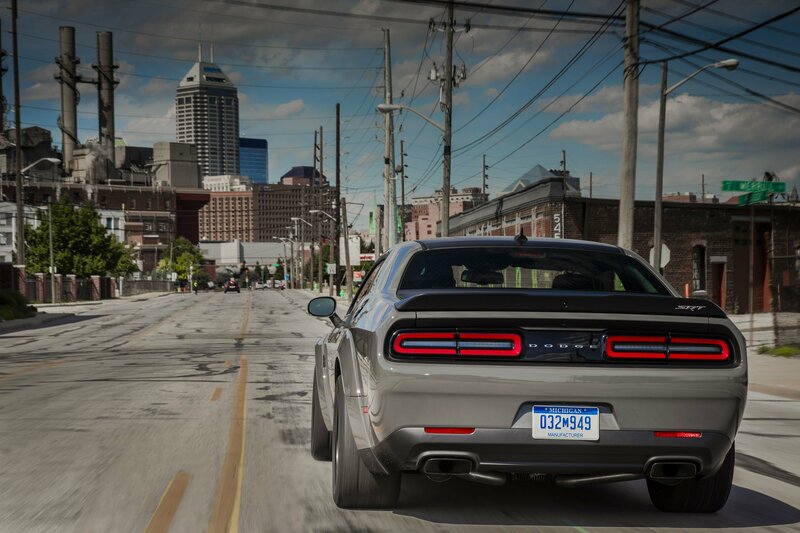 The cinematography captures the grittiness of the Steel City, serving as the perfect backdrop for a car like the Challenger Demon to run roughshod over. And like any video these days that’s worth its salt, the ending of “Exorcising the Demon” essentially serves as a teaser for what’s to come next. I’m not going to spoil the surprise at the end because it’s definitely worth waiting for. The Dodge Challenger Demon is a fine piece of machinery, and I can definitely understand all the hype around it. Despite the fact that it doesn’t have a much-needed manual transmission. What I don’t get is this new hype around the fact that Chrysler trademarked the Angel name and that most car enthusiasts already see it as some sort of anti-Demon version of the Challenger. Come on man, what’s this, finger-painting class? I’ve been in the business long enough to know that the Chrysler Angel could very well mean squat. Nothing, nada, zero, just a name on a piece of paper at a trademark agency. But this isn’t the only thing that grinds my gears this week. Everyone seems to have gone berserk over the fact that some 12 units of the Lexus LFA, which was discontinued in 2012, are still available at dealerships in the U.S. Hey, that’s pretty spectacular, because we’re talking about a supercar that hasn’t been built for five years, not to mention that production was limited to only 500 examples, but I still don’t understand why this LFA thing is such a big deal. But more on this below. Proving yet again that the auto world can be a place rich in irony, Fiat Chrysler Automobile has filed a trademark for the name “Angel,” which the automaker plans to use on a “passenger vehicle” of some sort. 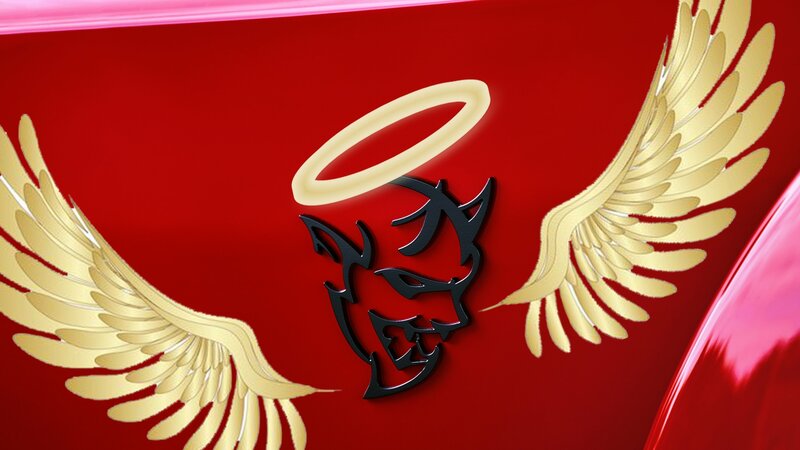 Color me amused because, at the very least, FCA is turning its troll game up to a new level; the “Angel” name runs diametrically opposed to the identity of the automaker’s latest muscle car masterpiece, the Dodge Challenger Demon. So what gives here? What’s FCA up to exactly? Unfortunately, your guess is as good as ours at this point because FCA didn’t exactly divulge details on what it has planned for the “Angel” name. All we know at this point, thanks to our friends over at Fiat Chrysler Authority, is that the name could be used on “trims and badges” of any future model. The fact that the trademark was only filed on July 17 means that this is a new deal for FCA. It’s got plans for the name at some point in the future. How it plans to use it, or if it does at all, is the question that all of us need some answers to sooner or later. You’ve got our attention, FCA. That much I’m sure of. Now, how about giving us some hints because, at this point, all we have are predictions on what you have planned for the “Angel” name. 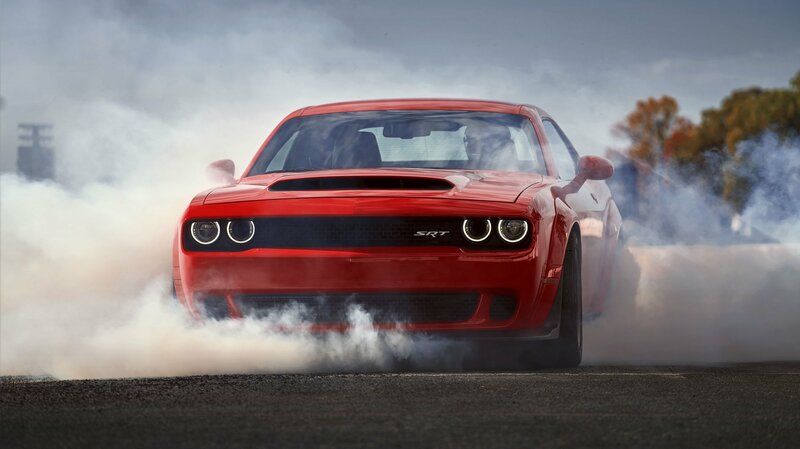 The Dodge Challenger Demon is quick. Apparently, it’s so quick that the National Hot Rod Association actually banned it because it’s capable of hitting the quarter mile in just 9.65 seconds, well below the 9.99-second threshold that the association allows without serious safety modifications. 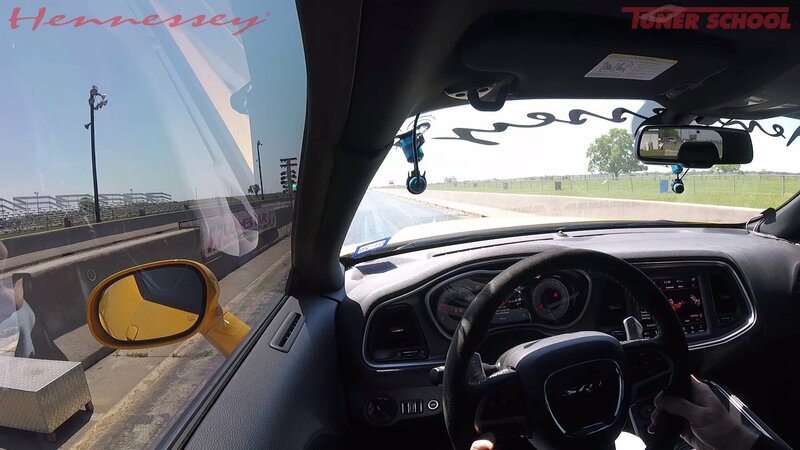 It’s a disappointing handcuff for Challenger Demon owners, but fortunately, John Hennessey has saved the day by telling Fiat Chrysler that Hennessey’s home track, Lonestar Motorsports Park, would accommodate the Challenger Demon without any restrictions to the car. Hennessey made his offer clear to FCA’s head of passenger cars, Tim Kuniskis, in a letter addressing the issue with the NHRA. 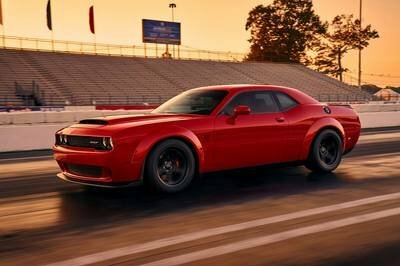 In the letter, Hennessey said that the Lonestar track would allow owners of the Challenger Demon to “run their vehicles down the quarter-mile drag strip without a roll cage and/or parachute. All Hennessey requires is that owners attend a one-day drag racing school to become familiar with car itself and the layout of the track. The noted tuner and car manufacturer’s offer is a lot more lenient than the NHRA, which requires owners of the 700-horsepower muscle car to equip their cars with safety equipment on top of getting an actual competition license before they can bring their Demons to any one of its quarter-mile drag strips. 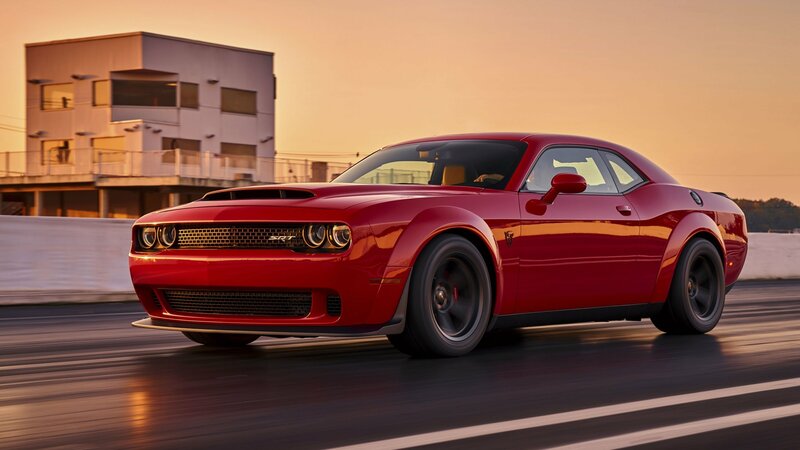 Suppose you already have a reservation for the Dodge Challenger SRT Demon and you’re just waiting for that precious call from your local Dodge dealer. It’s hard not to get excited about getting your hands on one of the most anticipated muscle cars to be released in recent history. Exciting times, isn’t it? 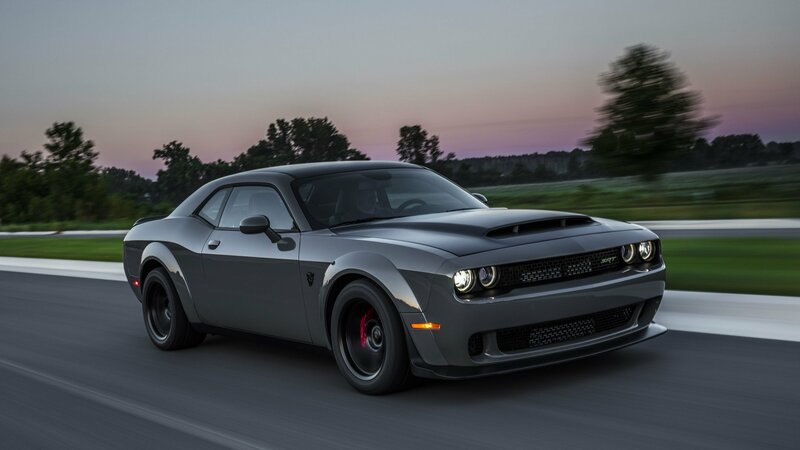 Well, before you get a little too excited about the possibilities, Dodge is dousing that excitement with a three-page Demon Disclosure Form that you’ll have to abide by before you can bring your Challenger Demons home. 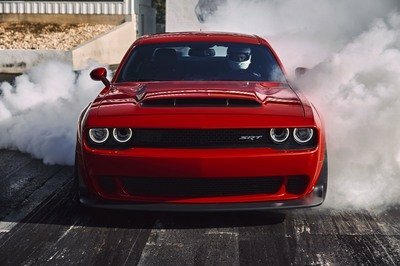 The document, acquired by Jalopnik, is essentially a “terms and conditions” waiver that Dodge wants every Challenger Demon buyer to sign, effectively waiving their rights to sue in the event they don’t follow any of the conditions laid out by the automaker. Among the important points that Dodge indicated in the form pertains to passenger seats. Specifically, the form says that “if the vehicle is not factory equipped with a passenger seat, customer shall never attempt to install a passenger seat because the passenger will not be properly protected.” Another important reminder included in the form is a warning for owners never to use “any “Track-Use” features, functions, equipment or parts on public roads or any other prohibited area.”There are a lot more conditions laid out in the form, and almost all of which were put in to lay out the simple fact that the Challenger SRT is effectively a street-legal drag car and owners should use it with utmost care and caution. We’re not sure if you’ve noticed, but things have been getting a little out of hand lately. In the never-ending quest to one-up the competition, automakers have unleashed some truly astounding machines upon the world, each packed to the brim with jaw-dropping stats. The numbers these things bring to the table are simply ridiculous – outrageous power, mind-warping speed, and otherworldly performance potential. Any one of these rides will permanently alter your perception of what it means to go fast, even if all you do is digest the numbers. As such, we’ve listed here our top five favorite street cars with simply ridiculous spec sheets. Obviously, super cars make up the majority of the entries, but we’ve also got the king of the muscle cars and even an all-electric icon on the list as well. Each entry is fully capable of melting face in its own special way, and each serves as a reminder that we are indeed living in a special time. Enthusiasts, say hello to the ultimate bench racers, the four-wheeled monsters bringing the hottest of the heat. Which would you have? 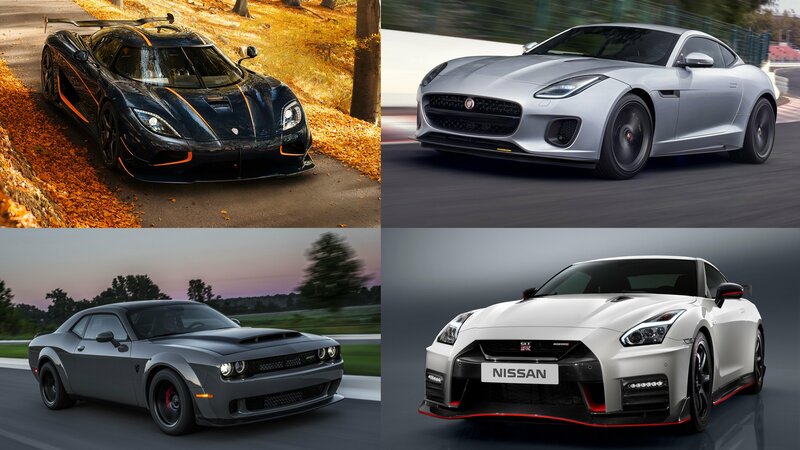 Let us know in the comments section below, or post up your pick for the car with the most ridiculous spec sheet. 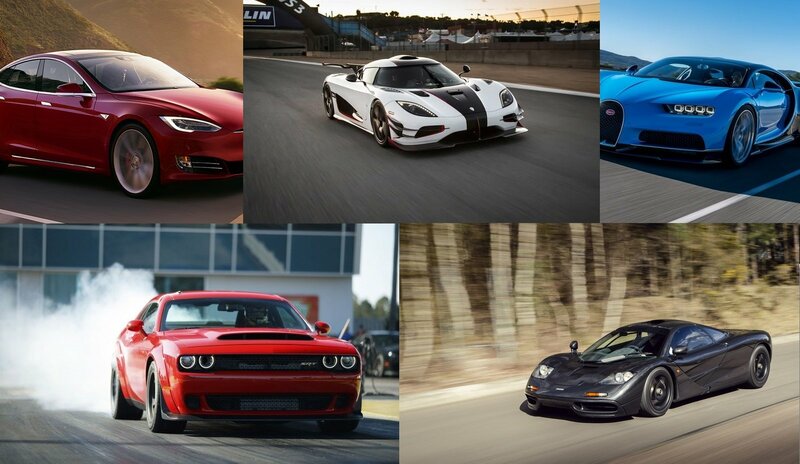 Continue reading to learn more about TopSpeed’s Top 5 Cars With Ridiculous Spec Sheets. As Honda deals with the growing discontent among its consumer base on the aggressive mark-ups dealerships are putting on the Honda Civic Type R, Dodge is determined not to irate its consumers by instituting a unique dealership ordering process for the Dodge Challenger SRT Demon. The process itself was designed to prevent the experience prospective Civic Type R customers are going through as they see the prices of the hot hatch skyrocket to almost double Honda’s own asking price.